Guys!!!! It's been long under wraps...But I can finally share! 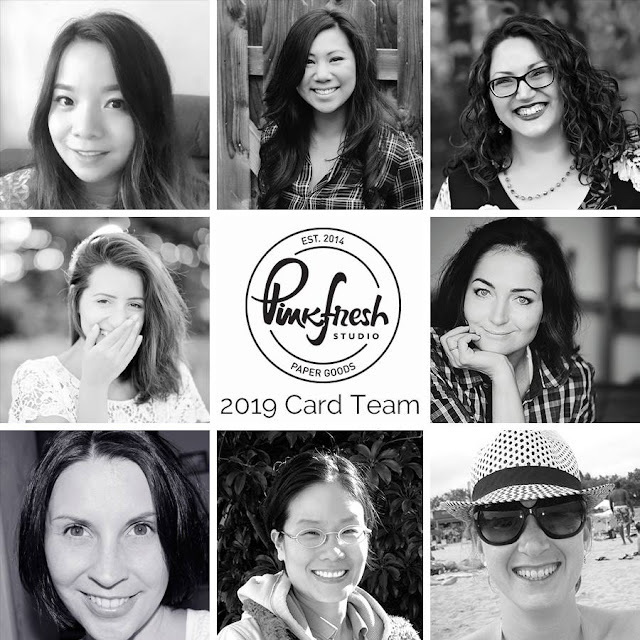 I am crazy excited to be joining the Pinkfresh Studio crew for the first half of the 2019 design term! I couldn't be more thrilled and in all honesty, can't believe that I get to share this honor with such an awesomely talented and sweet group. So many of the names on this list are my personal papercraft idols and over this past year Pinkfresh has swiftly rolled to the top of my favoritest crafty companies. Soo, it's kind of a huge deal. I think someone better pinch me! Here is the full lineup of all the abundantly and insanely talented + big-hearted gals. 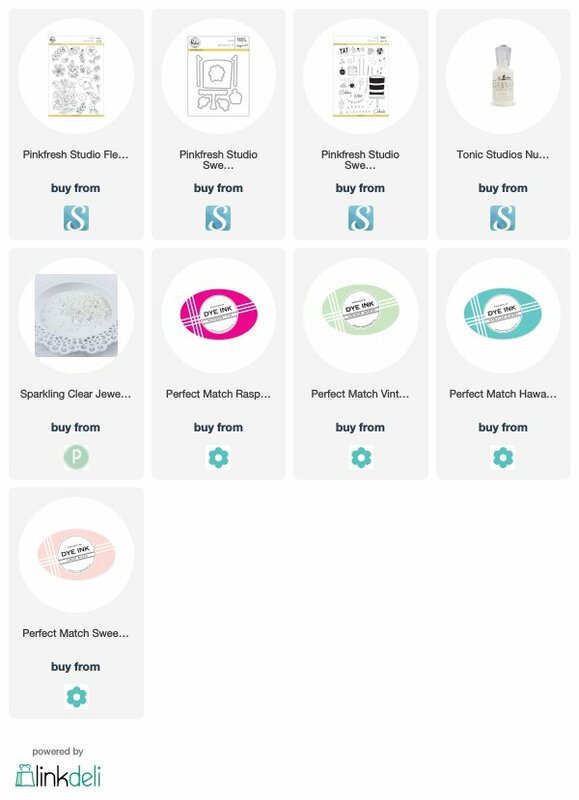 Please head on over to Pinkfresh for all the bloggy links and see for yourselves. This year is going to be so awesome. Full Disclosure: this fangriling may go on for some time, but I promise to try and compose myself long enough to share some cards along the way. 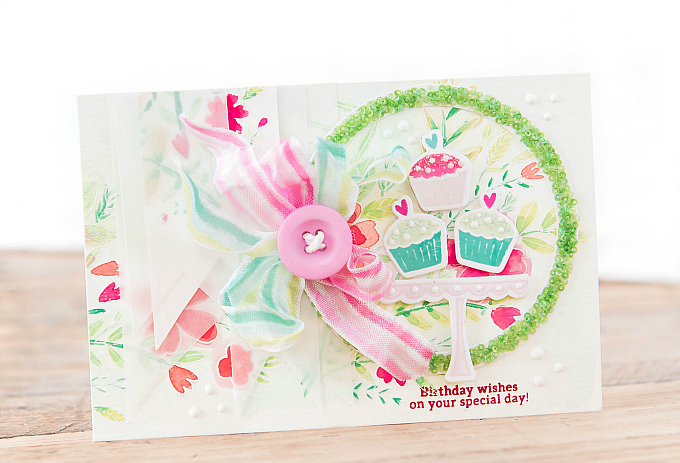 For today, I have a colorful, floral number that was created for the CardMaps/Pinkfresh Collaboration going on over on the CardMaps blog. I have such a hard time working with sketches, and I also have a very challenging time creating landscape cards - so this was a double threat for me, but I sort of loved the challenge! I infused a whole lot of stamping and watercolor, using the beautiful Fleur 1 stamp set, for the background. I also thought it would be fun to make the frame piece textured by adding teensy sequins to the die-cut circle. 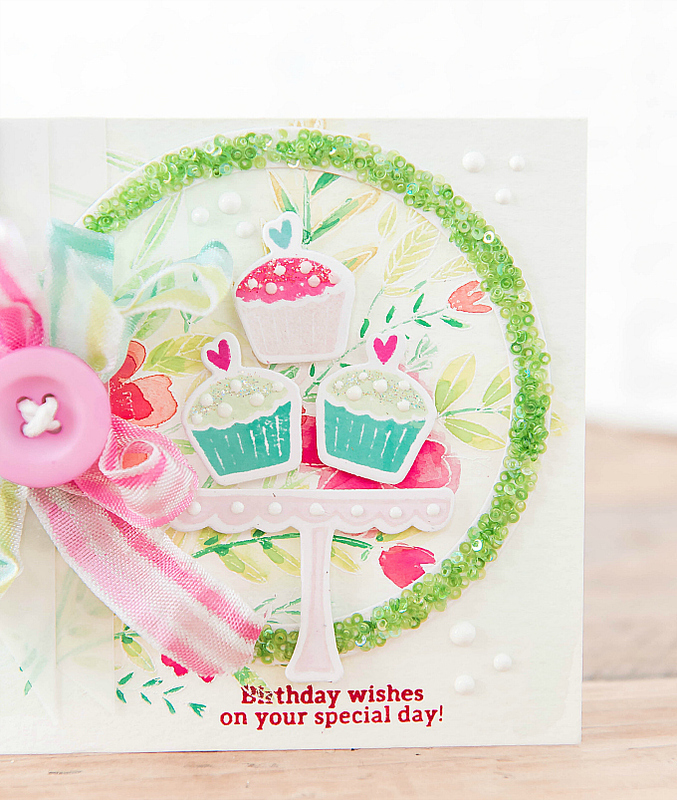 For my focal points, I used a cupcake-filled stand, made with PFS' Sweet Treats stamp and die set, and a colorful bow to balance it out. I used a little bit of masking to add a lot of color to the pretty cupcakes with PTI ink, a whole lot of vellum pennants, and a few touches of Nuvo drops and some glitter for an extra sweet touch! 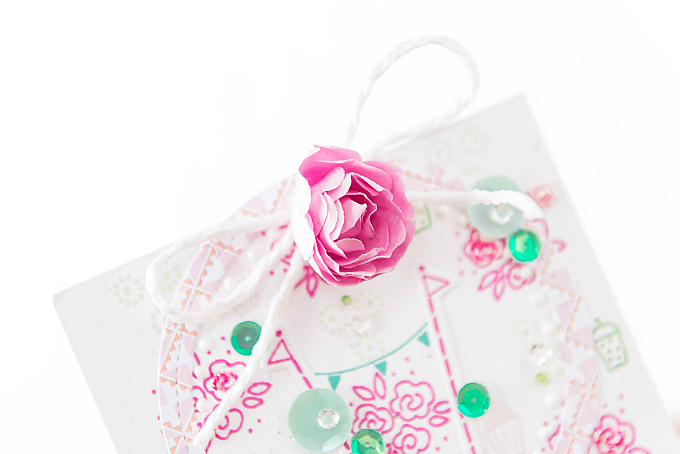 Next up, a super quick and sweet Birthday card that I created just because. 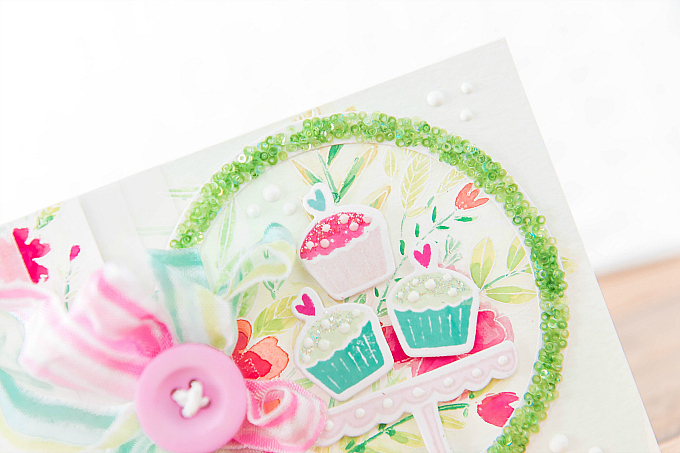 I loved using the Sweet Treats stamp set here in various ways. 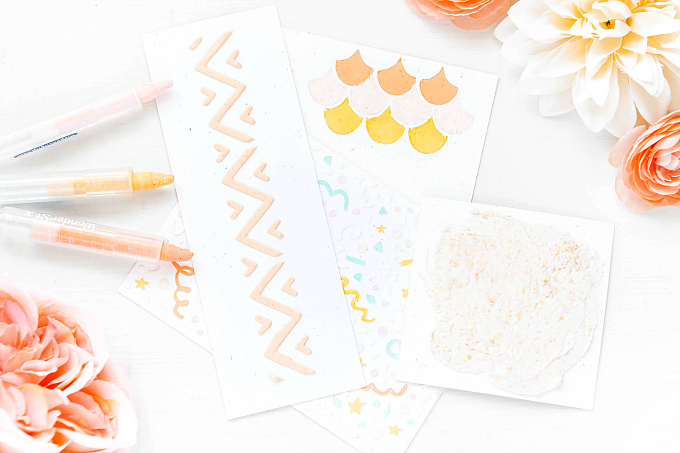 I sort of think it's a great way to get more mileage out of the stamps you already have - by using them to create the whole card! Start with a simple repeating background pattern, follow with a focal point, and finish off with a sentiment. This is also one of my favorite ways to craft on-the-go. I often grab a few inks, a stamp set, diecuts, and some cardstock, and my crafty kit is all set. After all the stamping, I added some string and a pretty flower, along with a heap of sparkly, shimmery sequins all around. I've also been crushing on these sweet PPP crystals, so I've added a bunch of those too. At the bottom, I added a vellum strip, along with my heat-embossed sentiment, and a few more glittery touches here and there. You know that I am SO excited to have you on the team, and I can't wait to see the next 6 months of your gorgeous creations! If these are any inclination, it is going to be an inspiring first part of 2019!! YAY!!! I'm so happy for you Ivana!!! This is well deserved and I know you are going to knock it out of the park. 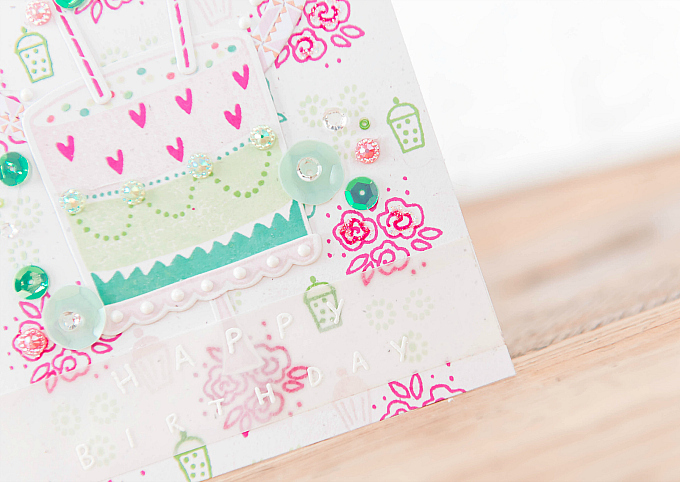 Your debut cards are full of happy and worthy of this celebratory occasion. Just fabulous! Hurrah, hurrah! I wondered why you weren't already on that team as you work wonders with their products, Ivana! They're so lucky to have you! 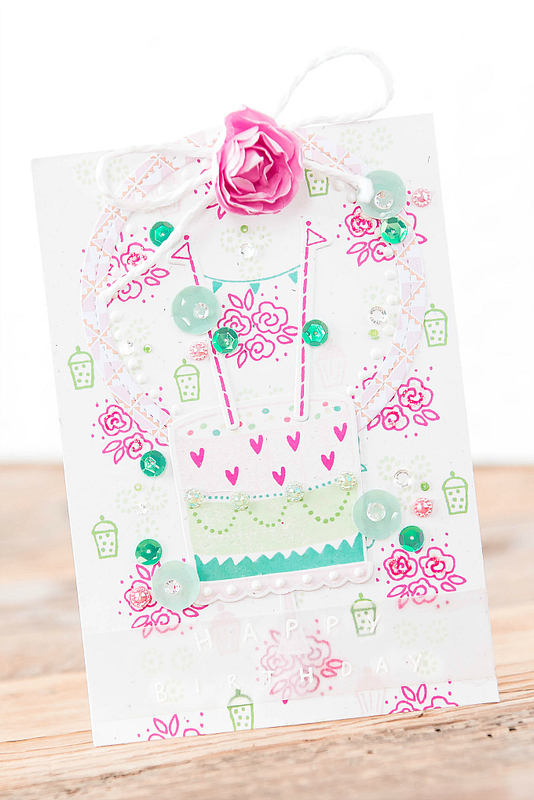 Love your uniquely beautiful & modern birthday cards! The tiny green sequins around the circle are amazing! Wishing you much peace & joy in 2019! Awe thank you so much, Greta!! I'm so, so excited to kick of this year with a company I love so much! Biggest hugs and New Year wishes to you, sweet friend! 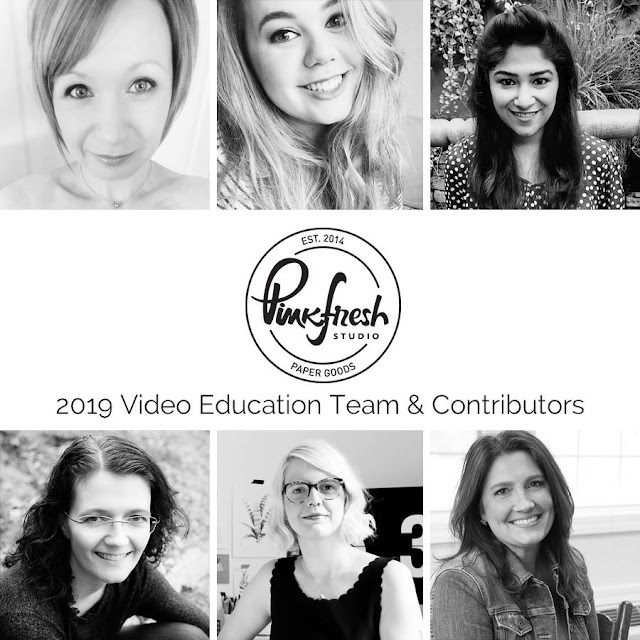 Congratulation Ivana, on joining the Pinkfresh Studio design team. 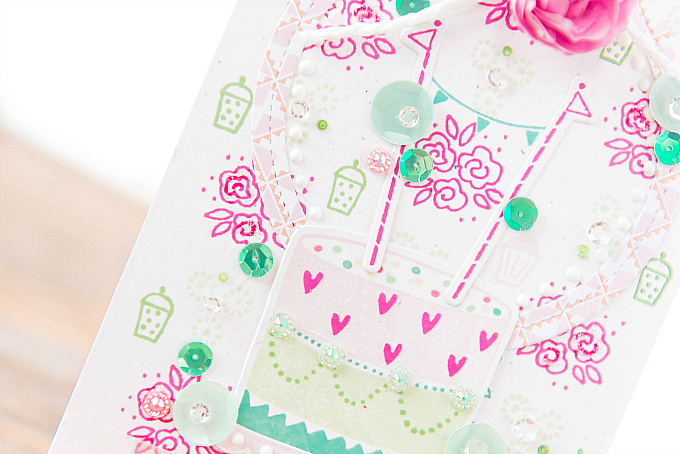 Love the birthday cards and the fun way you added the green sequins. Congrats, you totally deserve this!